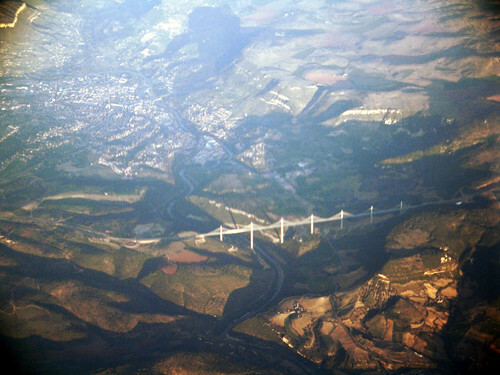 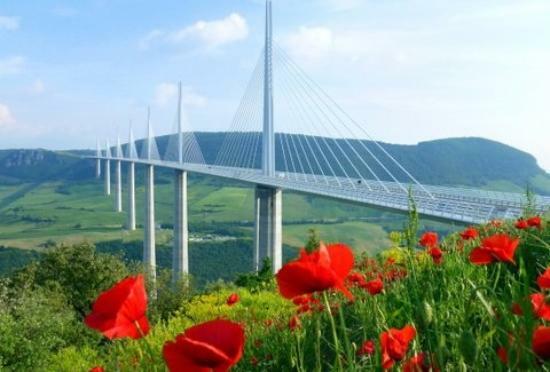 Michel Virlogeux and Norman Foster are French structural engineers, who built the Millau Viaduct bridge. 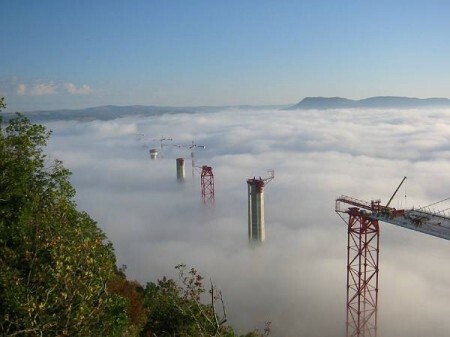 The bridge needed 350,000 tons of concrete, and 40,000 tons of steel. 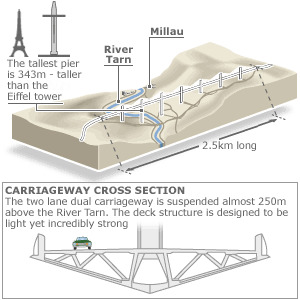 It is also 8,071 feet long.